The versatile and American made Broilmaster Qrave grilling package includes everything you need to get started cooking, smoking and steaming. 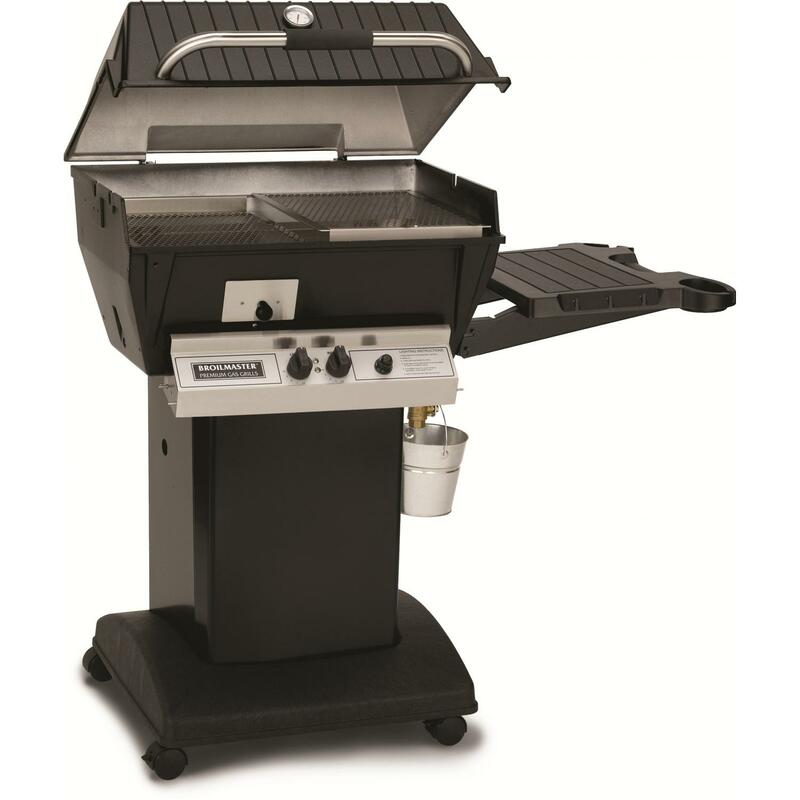 With the stainless steel H burner you can adjust your propane gas as low as 7,500 BTUs for slow cooking, or turn it up to 25,000 BTUs for high heat grilling on 420 square inches of cooking space. On the lowest setting you can cook for more than 50 hours on one tank. The dual control burner allows heat to move around the side of the pan for convection cooking to help cook food evenly. Use the front loading, built-in smoker tray with wood chips or pellets for creating perfectly smoked meat. For steaming, close the drain valve, fill the drip pan that sits above the burners with liquid of your choice and set the burner to high to steam vegetables or seafood. 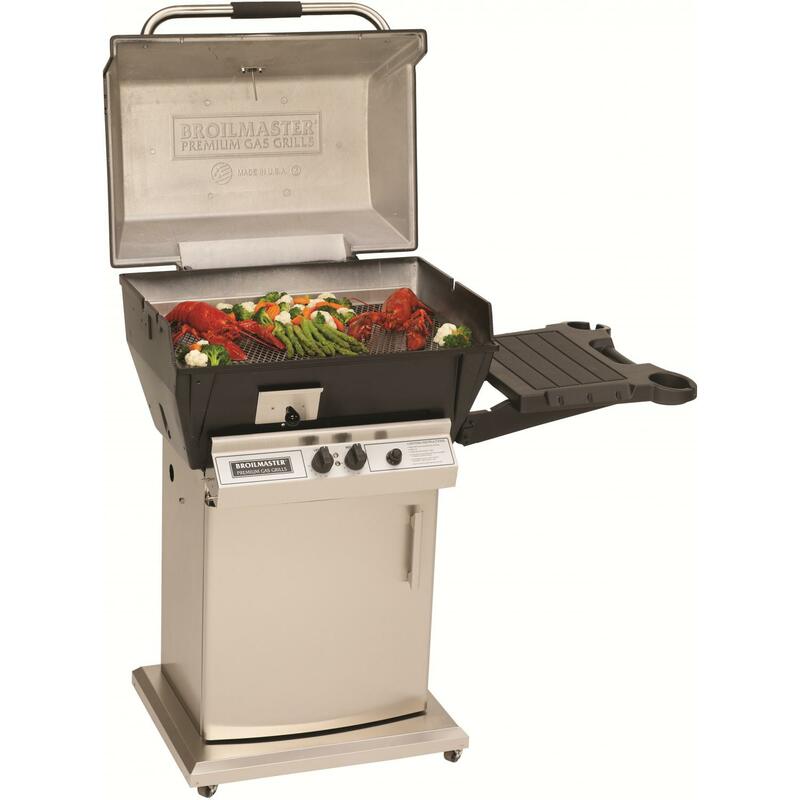 With the electric ignitor on the stainless steel control panel, you can easily light the grill all season using one AA battery. The two piece stainless steel diamond pattern cooking grids keep food from falling through and are two different levels to maximize space. 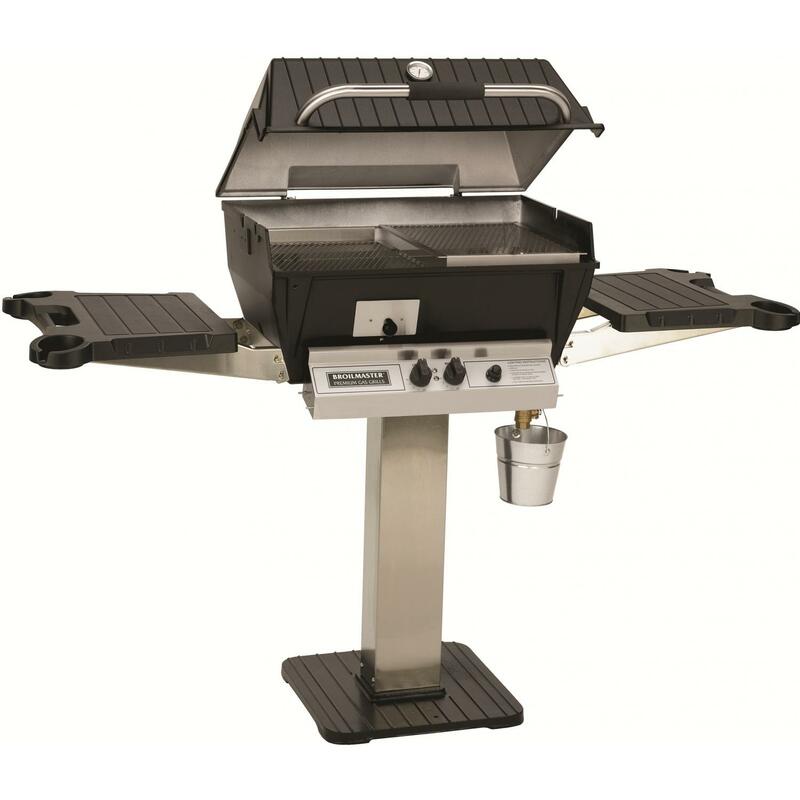 The grill head has a precision probe heat indicator and is constructed of cast aluminum to maintain consistent temperatures. The stainless steel cart includes a drop down side shelf and storage underneath. Clean up is easy with the stainless steel drip pan and collection bucket.